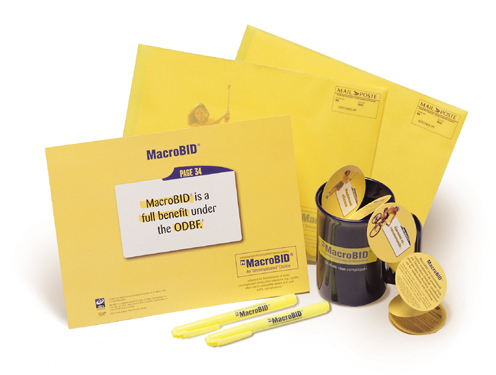 Advertising campaign for MacroBID included direct-mail packages to Doctors and give-aways such as highlighter pens and mugs which contained unique fold-out inserts. This campaign resulted in a 40% sales increase of MacroBID. Completed while working for WhiteSpace Advertising & Design.